I’m curious. As a user of the US based eBay, have you found your bounce rate from UK visitors has gone down? Being in the gaming industry we see many people coming to our site from Europe, and with a moderate bounce rate. If you find that effective, we may need a translation for our blog! I hadn’t thought about that. 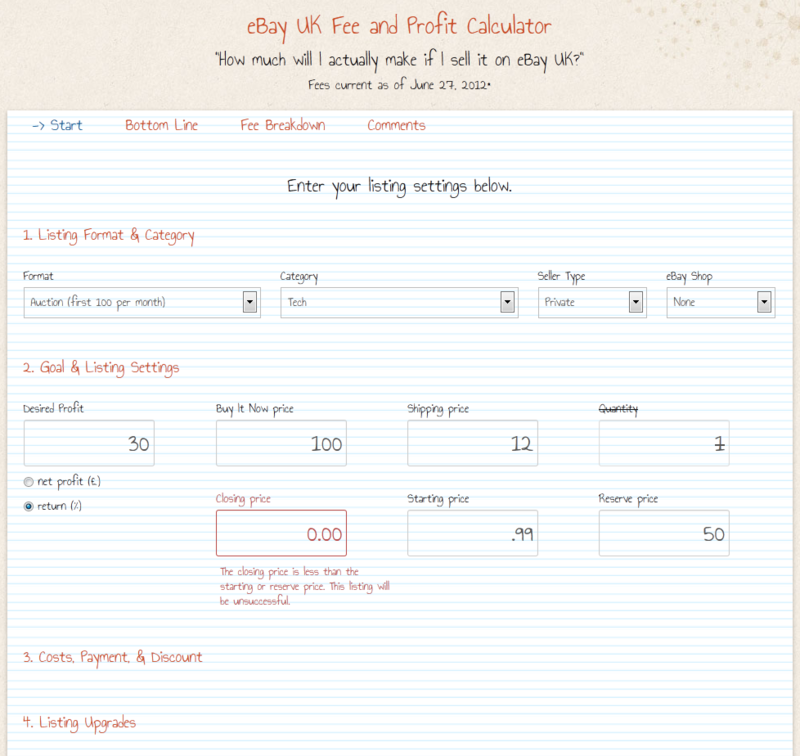 I like your fee calculator, I plan to use it this week to make sure I’m making a profit with some t shirts on eBay. Thank you. The bounce rate has decreased. It’s good practice to look at site traffic and take steps to ensure visitors get the most out of their visit. A lower bounce rate then follows naturally. Good luck!